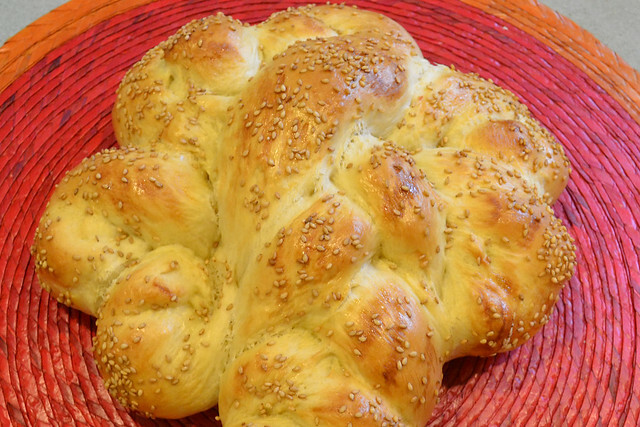 On Wednesday for Tu Bishvat I shared with you a great challah from my friend Rabbi Phyllis over at Ima on (and off) the Bima. 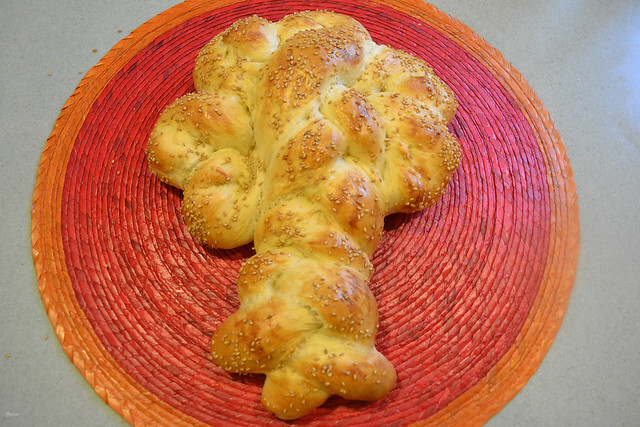 I liked her idea that we could extend Tu Bishvat into Shabbat, at least for challah shapes. 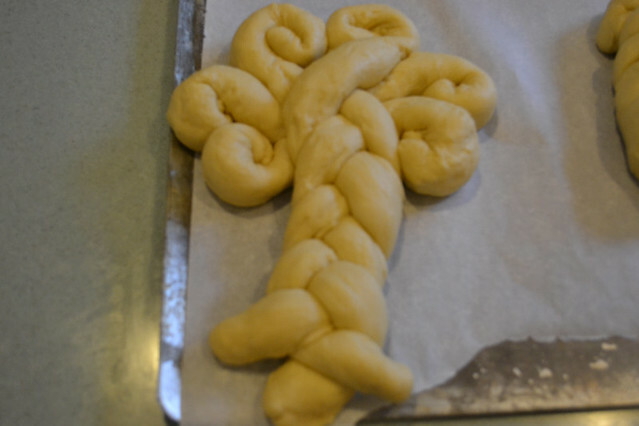 So, I decided to make my own tree-shaped challah. I basically managed to take my worst, most blurry shots of challah ever. Oh well. You get the point. I started with three really long strands. 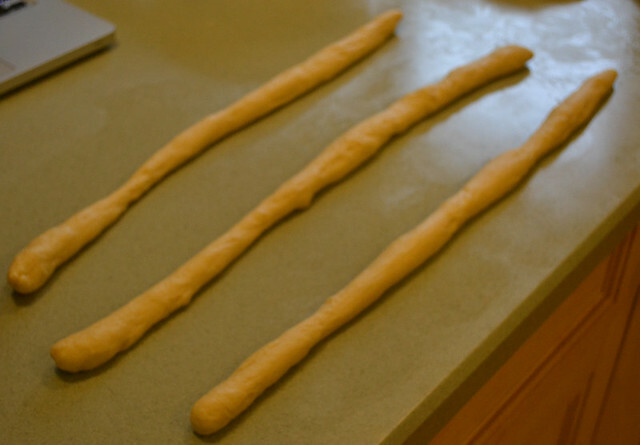 Then I braided them without really closing off the end. 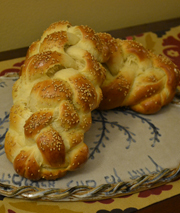 At the top, I coiled them a la Croatian Star Challah or Parting of the Sea Challah. ils, so I added a few more. (My strands were actually a bit too long, so I tore them and used the ends as the additional coils). I'm thrilled with the result. I think it will be really fun to tear apart the strands. Ok that is WAY prettier than mine!!!! Aww, thanks :) Seriously, though I never would have even thought about doing it if not for yours. You're still the inspiration! What other shaped chalet can we do? Just saw this and absolutely love it! Going to try it next Sabbth since the Challah is already in the oven. Beautiful! Thank you! I just made this for Tu B'Shvat this week, just because I found your challah on a Google phone search. It came out wonderfully!